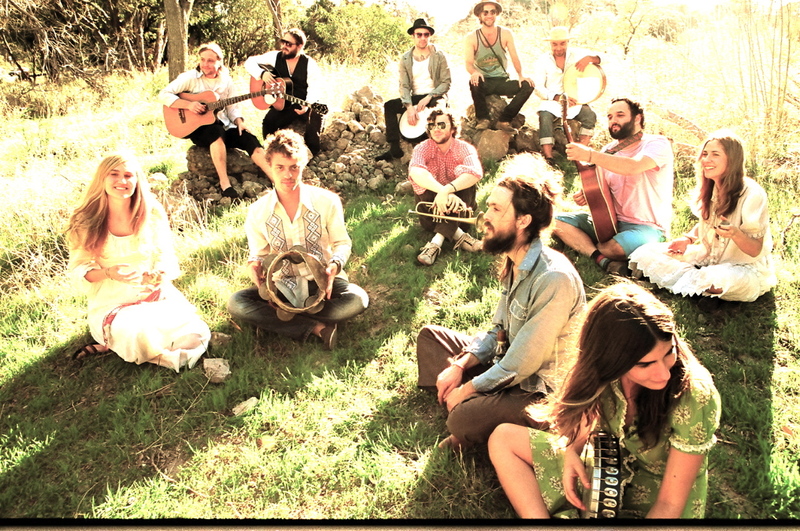 Working the festival circuit this summer is LA’s crazy hazy jam band, Edward Sharpe and The Magnetic Zeros. The ten-to-twelve member band, which tours the country barefoot in a white school bus and frequently sheds pieces clothing throughout its sets, is the type of band that you’d least expect to partner with a big brand. However, the band’s most popular song “Home” is being featured in Microsoft’s new marketing campaign to promote the Kin. That ruins it for CNET’s Matt Rosoff, which is lame, but I know what he means. In an interview this week prior to a Zeros set at Coachella, band leader Alex Ebert spoke with a reporter from the San Diego Union Tribune. Jam band, folk and indie rock fans all dance to the Zeros. “Home” is a great song, but every track on Up From Below is a party, which is why Cochella will be followed by Sasquatch, Bonnaroo, Telluride, High Sierra, Newport, Lollapalooza and other gatherings of hairy unshowered people holding hands. Check out the Small Desk and Letterman clip below for a taste. “hairy unshowered people holding hands.” sign me up. Minus the reference to mushrooms, this was a great interview. Love their voices and perspective. The guy is really deep; the girl is a bit mystifying but really talented! :) I will be buying their CD soon.